The Beavers traveled to Milwaukee to play in the MSOE All-Engineers Classic this past weekend. It was the first time Caltech's seniors (Ryan Elmquist and Ziying Wang) have gone out of state to play since they have been at the Institute. Caltech struggled to find an offensive rhythm on Saturday against the host school but was +7 in turnover margin and tied a school record with eight blocked shots. 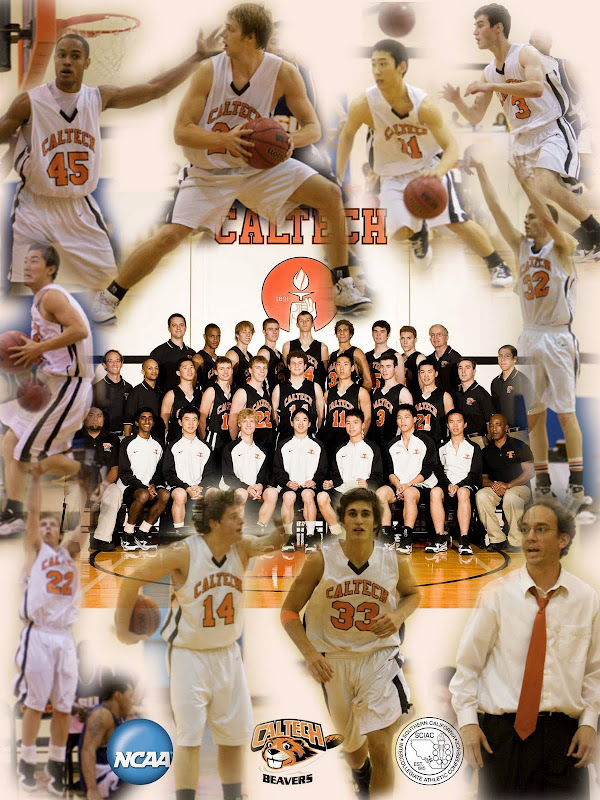 Three Caltech players hit double figures in their opening game of the 2010-11 season. Game two against Merchant Marine Academy on Sunday proved to be an exiting affair as Caltech rallied not once, but twice, from a 19-point deficit. The Beavers cut the gap to 5 points in the closing minutes of each half. Again, they forced more turnovers and recorded more blocked shots than their opponents. The Beavers also hit 17 of 19 free throws. Final score: 67-59. Four players hit for double figures while Wisconsin native Mike Paluchniak scored 15 points and grabbed 5 rebounds in front of his family and friends. Elmquist was named to the all-tournament team. Click here for an audio slideshow of the weekend.